Adventure Dolphin offers a range of water and land based courses throughout the year catering for children (aged eight and over) and adults. Run by a dedicated team of qualified coaches, each programme encourages participants to have fun while learning a variety of new skills in what is a safe and controlled environment. Our courses cater for all abilities from beginners through to leader training. So whether you are embarking on your first paddle, are new to climbing, or want to coach others, we can help you to take the next step. • Read through Our terms & conditions covering regulations, insurance, fees and cancellation. Our preferred method of payment is via our WebCollect online. 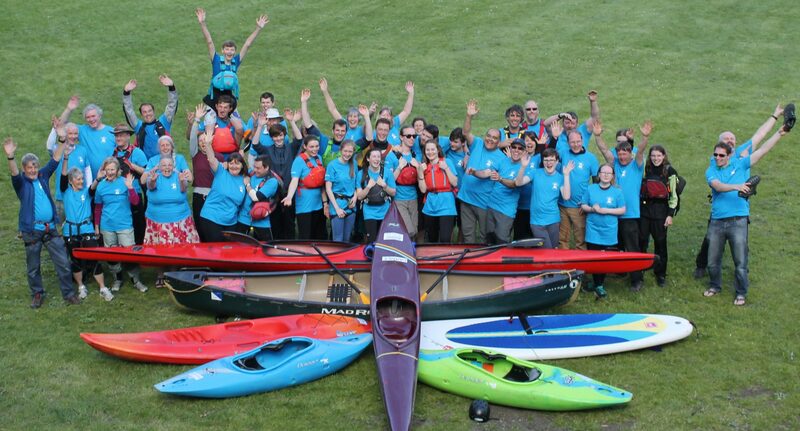 It is Adventure Dolphin (Pangbourne) Charity policy to operate courses using well- maintained equipment and nationally qualified, coaches/leaders. Decisions taken by the coach/leader in charge of each activity course are final. For water based courses, participants must be water confident and must wear approved buoyancy aids, which the Charity provides. Suitable footwear must be worn at all times on or off the water. Hat/sunglasses/sun screen are also recommended during sunny weather. INSURANCE: The Charity holds Public Liability Insurance. Participants’ own equipment is not insured at any time and the Charity does not provide personal injury insurance for you. Adventure Dolphin (Pangbourne) Charity strongly advise that no items of value be brought along to activities due to the risk of loss or theft. The Charity takes no responsibility for any valuables or personal belongings damaged or lost whilst involved with Adventure Dolphin (Pangbourne) Charity activities. Any enquiries should be made via our Email: info@adventuredolphin.co.uk or telephone 0118 440 3038 (Please note: the charity is run by volunteers and we will respond to your enquiry as soon as possible). A place can only be reserved on receipt of full payment made online or as agreed with the trip leader. For major expeditions (more than 5 consecutive days) a deposit of 20% of trip fee will be required to book a place and scheduled payments will be arranged. The balance of the fee is payable EIGHT WEEKS before the start of the expedition. Failure to pay the balance at this stage may result in cancellation of the booking and loss of deposit. Cancellation within the final TWO WEEKS before the start of the course will result in loss of 100% of the total fee. Should cancellation take place once full / part payment have been made, Adventure Dolphin (Pangbourne) Charity will attempt to re-sell the place. If this is possible the client will receive a full refund less a £20 administration fee. Course bookings can only be transferred at the discretion of Adventure Dolphin (Pangbourne) Charity. Please note: Canoeing, kayaking and climbing are “assumed risk sports” – “these are contact sports” that may carry attendant risks. Participants should be aware of and accept these risks and be responsible for their own action and Involvement.